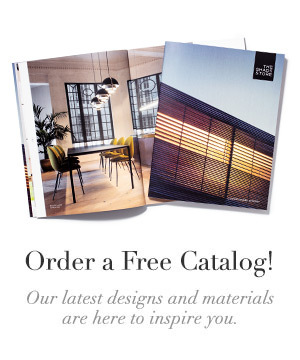 The Shade Store’s Woven Wood Shades and Wood Blinds are natural design options for any stylish interior. Each window treatment is hand-made to the customers exact specifications, using the finest eco-friendly responsible materials available. Woven Wood Shades are made from natural soft woods, including bamboo, grass, and reeds. 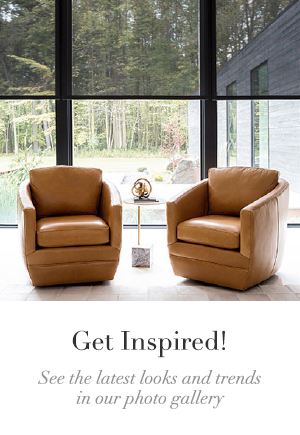 They are exquisitely constructed for various lines of the Woven Wood collection, including Standard Woven Wood Shades, Waterfall Woven Wood Shades, and Cascade Woven Wood Shades. 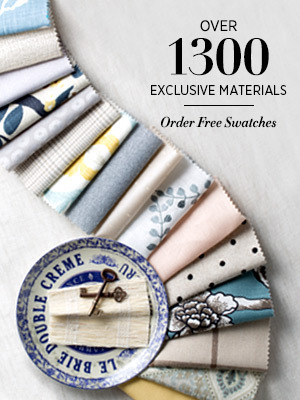 The exclusive collections of Wood Blind suit both modern and traditional decor. All wood blinds are available in 1” and 2” slats from a range of top quality basswoods, an even more affordable faux wood, and the exclusive Elite Wood Blind collection, which consists of some of the most interesting finishes in the world. 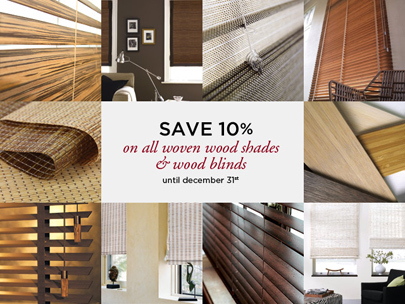 Consumers will save 10% on all styles of Woven Woods and Wood Blinds through the end of December. All orders ship free in 10 days or less. «Energy Efficient Window Treatments. Go Green.